Spotted these in Wickes today and i think for less then £20 it's a pretty good deal. 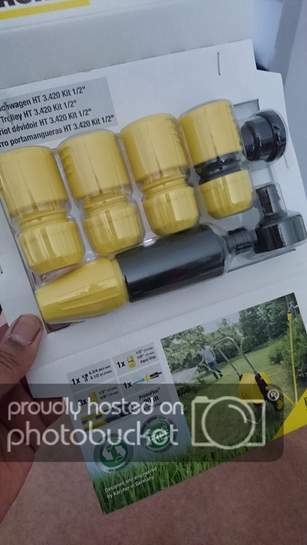 Just make sure you get all the fittings as advertised in the description because if they haven't got them they will supply you what is supposed to be included. Might be useful for somebody. The HT3420 Hose Trolley Kit is part of Kärcher's innovative range of hose trolleys which set new standards in functionality, design and quality. These state-of-the-art trolleys allow quick and easy unwinding and rewinding of hoses and take up the minimum of space. These can be used with all available click-on systems. Great find i just bought last one at my local store. These are £60 at Tesco Direct. Unfortunately no stock near me, but it's a decent deal even with delivery. I am unsure what hose I really want if I want to wall mount and so forth but it's too cheap to pass up so I jumped on it and got it delivered. It's easily £40+ elsewhere so why not. I have contacted 4 stores and it is the same old reply 'the one we have in stock has missing parts/ damaged' ! I have contacted 4 stores and it is the same old reply 'the one we have … I have contacted 4 stores and it is the same old reply 'the one we have in stock has missing parts/ damaged' ! I have just been to pick mine up and it has parts missing. I have raised the matter with Wickes and they will have to honour what they are selling due to the consumer rights act 2015. Could someone who has this please tell me exactly what connections come with this as well as the spray nozzle. 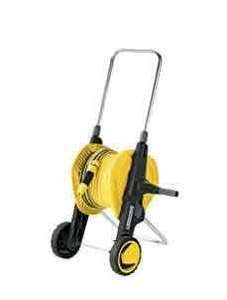 thnx - was looking to buy one..
for anyone interested - there were still 2 in aylesbury when i got mine morning..
thanks was looking for a hose. Was some in uxbridge branch.